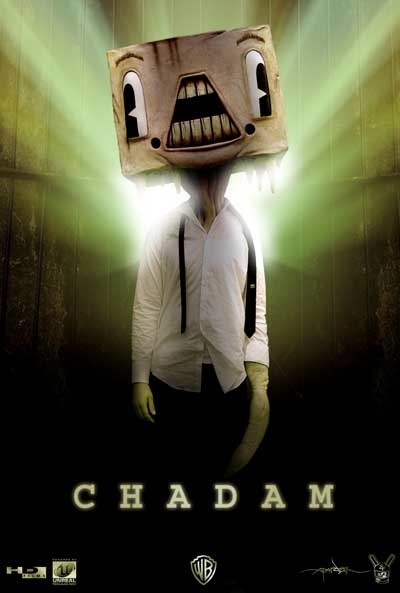 CHADAM is an cool new 3D animated web series by Alex Pardee based on characters he created for the rock band The Used. Here’s the CHADAM teaser trailer that premiered last week at Comic-Con 2008. CHADAM is produced by Jason Hall of HD Films and the series will debut on TheWB.com in September. Chadam lives as the “chosen one” in the hyper-stylized and exaggerated metropolitan island city of Vulture. His power of imagination is strong enough to physically change his environment and, therefore, his world … to save it from evil. The series will find Chadam in a place of refuge where he and others have retreated to plan their attack against a serial killer known as Viceroy. Here’s more on CHADAM from Hi-Fructose.